A windy day in Machir Bay on the west coast of Islay. 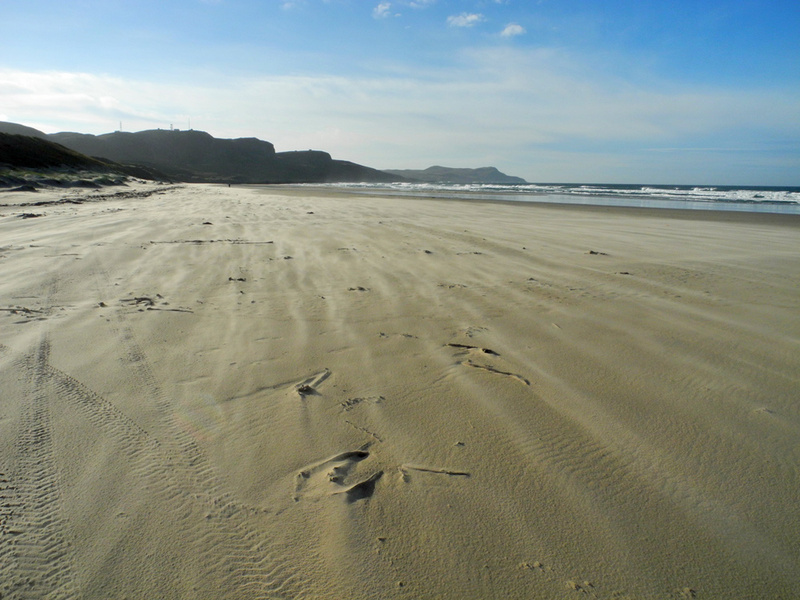 The sand is blown along the beach in long streaks, almost sandblasting your feet and legs. I remember seeing this on a beach on Harris – Luskentyre, I think. The whole beach was on the move! In Machir Bay it definitely is. The dunes and beach shift a lot.